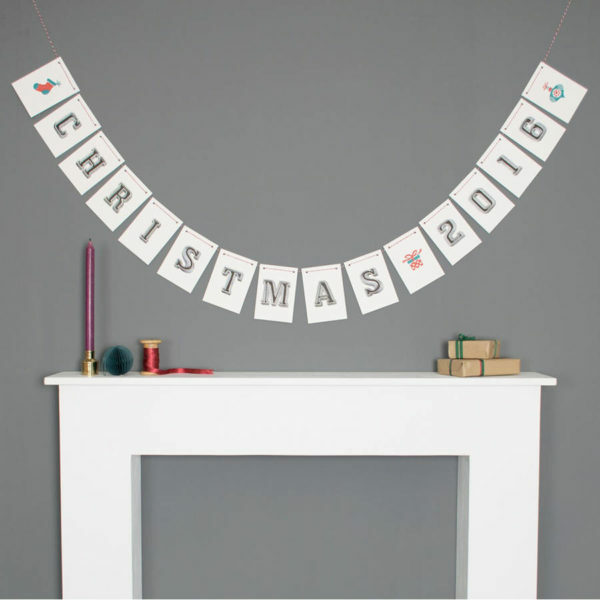 Personalised Christmas bunting – Decorate your house with a favourite seasonal quote! Our unique Christmas bunting is completely personalised to create a stylish, festive decoration. 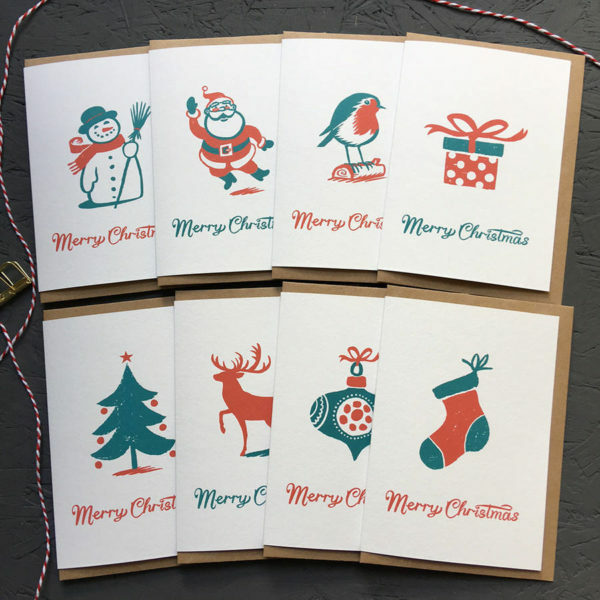 The choice of quote is completely up to you; you can go classic with ‘Christmas 2016’ or mix itup with some Christmas songs like ‘Mistletoe and wine’. Whatever inspires you, we can create.You can also choose from a range of eight flags with fun Christmas illustrations including acheery santa, Christmas stocking and snowman, complete with a carrot nose.The muted red and blue-green palette and cream-coloured card are luxurious and add an extrasplash of style to your living room, making it perfect for a Christmas party!The bunting has been hand-illustrated by Steven Gander in our studio in Kent before beingdigitally printed onto luxury cream card. 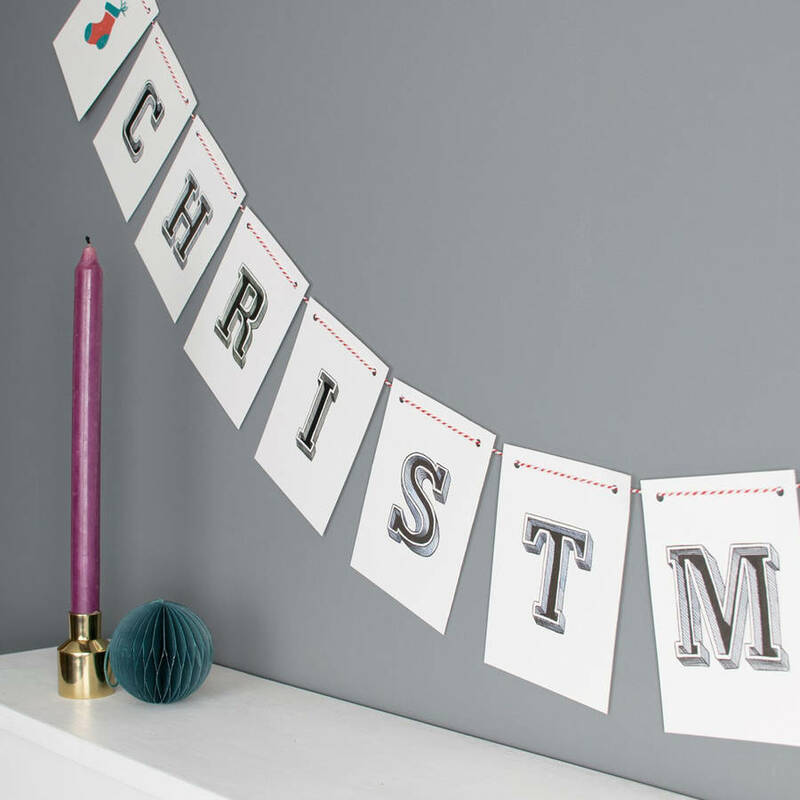 The bold typography and luxe materials aresuper-stylish and will add a bit of festive flair to your house this Christmas!The bunting is already strung on red and white twine and ready to hang. It will look great hungover a mantel, strung against a wall or across a window.The bunting isn’t waterproof so please use only as an indoor decoration. Choose your preferred Christmas icons. Ready Strung on 5 metres of red and white bakers twine.